Kibbutzim offer themselves as a solution to high housing prices and the shortage of available residences. Kibbutzim (cooperative communities) have offered themselves as a solution to high housing prices, in response to a student sit-in protest for more affordable housing. “The cost of living here is lower compared to the city. In addition, those who become members enjoy a variety of services that give them and their families a high quality of life,” Kibbutz Movement head Zev Shor told the Hebrew-language daily Maariv. 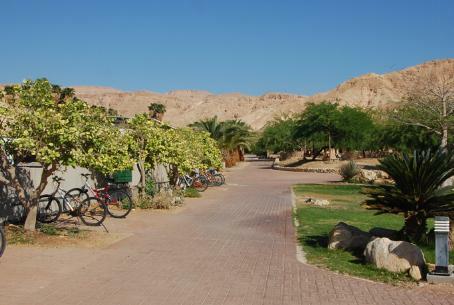 Among the benefits of kibbutz life, according to Shor: a “green” and clean environment, quality education, and a close-knit community whose members take care of each other. Dozens of kibbutzim now allow new families to join and to build their own home on kibbutz land or expand an existing apartment, he said. There are more than 270 kibbutzim in Israel, most of them in the Galilee or Negev. Reactions to the student protest have been mixed. Some have accused student of politicizing a national issue by criticizing the government instead of seeking solutions together. Other MKs succeeded in meeting with the students and hearing their demands. MK Carmel Shama-Hacohen (Likud) warned that the government cannot stay in power without dealing with housing prices, which have risen by 43 percent in just three years. “Either prices will fall, or the government will fall,” he warned. Housing Minister Ariel Attias (Shas) has attempted to bring prices down by issuing tenders for thousands more new housing units per year. Housing prices have risen in part due to a 10-month construction freeze in Judea and Samaria, and a continuing de facto freeze in Jerusalem. Another factor is the increasing phenomenon of apartment purchases by tourists from overseas, who leave them empty for most of the year, but drive up prices.